black tie. It can be black, midnight blue or any other color. A dapper move that’ll make you feel excellent, especially to the touch. Perfect for the fall/winter season in any shade. Trimmed in satin and constructed with a peak lapel, double besom pockets, and a roped shoulder. Some subtle shine will make you stand out in a crowd and get you noticed in the right way. 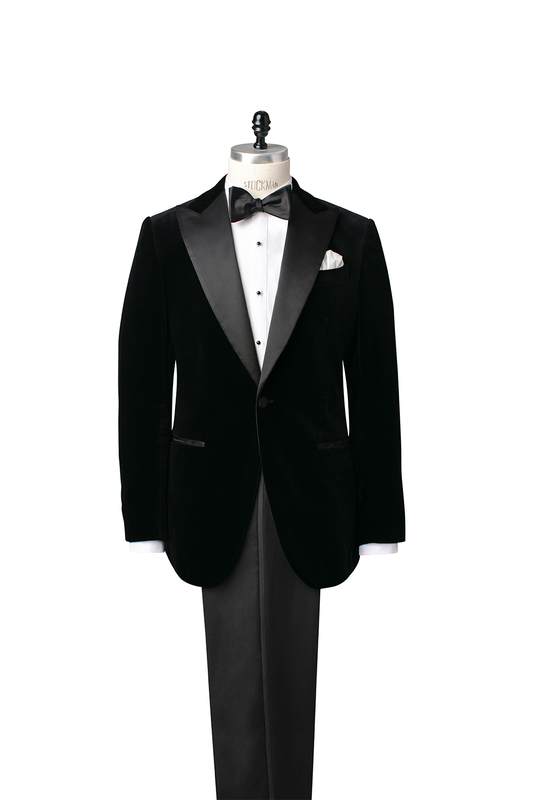 Work with a Knot Standard Style Advisor to select a dinner jacket in a fabric with a bit of shine to turn heads. 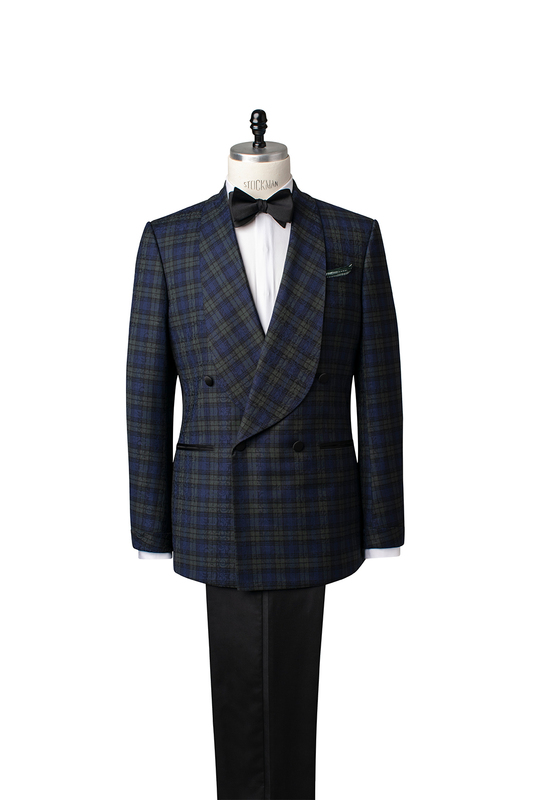 For a more modern take try our blue and green tartan dinner jacket with a translucent paisley finish or our unique microfabrication in chocolate brown, both with contrasting black silk trimmings.